Being in Roncesvalles Village (affectionately called "Roncy" by locals) is almost like being transported to Eastern Europe. Poland, to be exact. And while the Polish influence is slowly waning, Roncesvalles remains the destination for the best pierogi in Toronto. 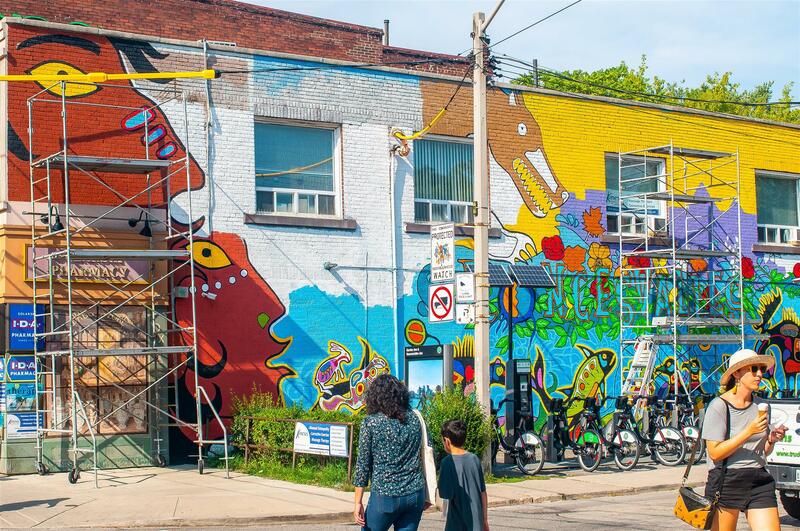 Location: Roncesvalles Village is a gem located in West Toronto, with Roncesvalles Avenue running through the centre. The neighbourhood is bounded by Dundas Street West and Queen Street. High Park is located west of the community. Liberty Village is located near Roncesvalles, approximately 10 minutes away via the Gardiner Expressway. Meanwhile, Downtown Toronto can be reached within 20 minutes. Transportation: Two subway stations are located in the northern part of Roncesvalles: Dundas West and Keele, the latter situated near the intersection of Bloor Street West and Keele Street. GO Transit's Kitchener line can also be accessed from this area, with the Bloor GO station a short walk from Dundas West. 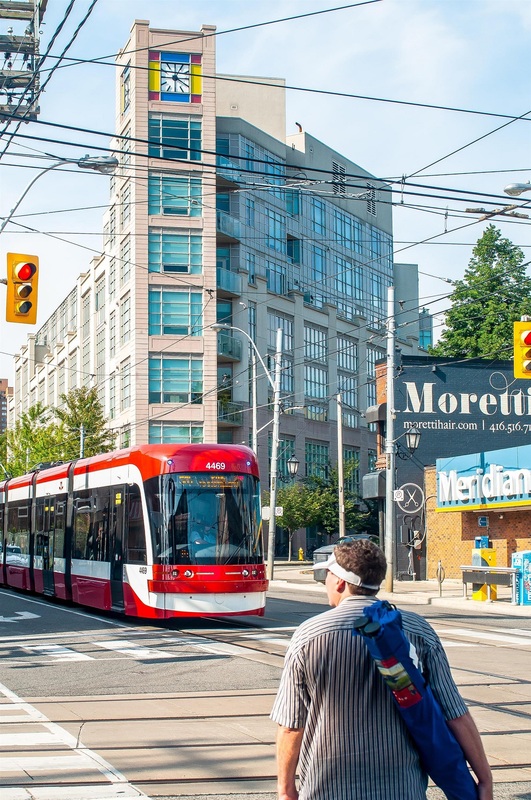 Streetcars also run in most parts of Roncesvalles, with various stops along Dundas West, Roncesvalles Avenue, and Queen Street West (in the south portion of the neighbourhood). The Queensway and the Gardiner Expressway are also located nearby. 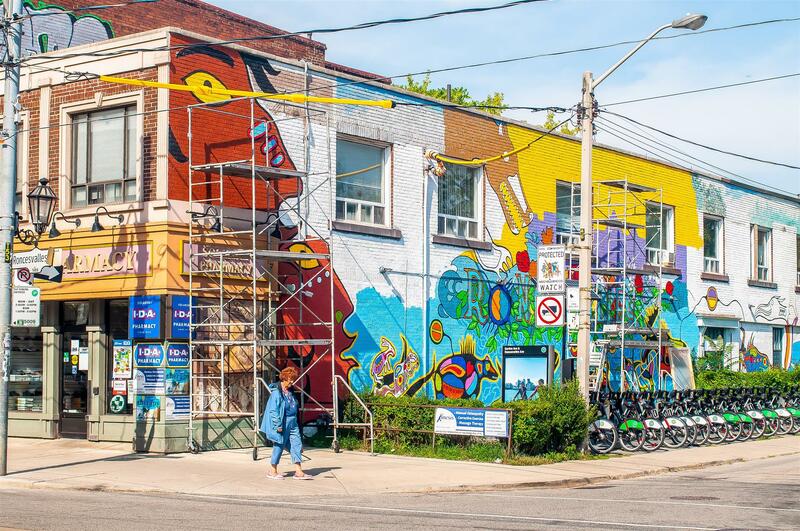 Who lives here: Roncesvalles used to be the heart of Toronto's Polish community, but with the area getting more popular, the local community has welcomed new additions. These include young professionals, as well as couples and growing families. 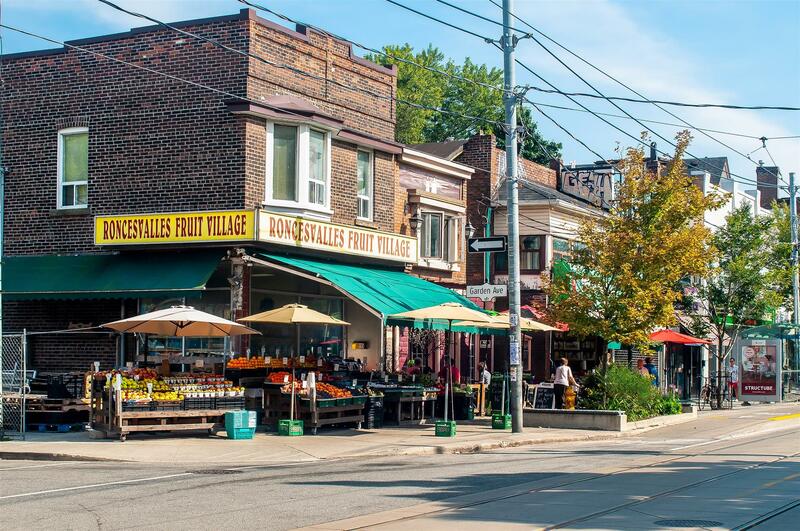 Roncesvalles Village is lined with leafy streets, so the overall ambiance is pleasing and calming to look at. 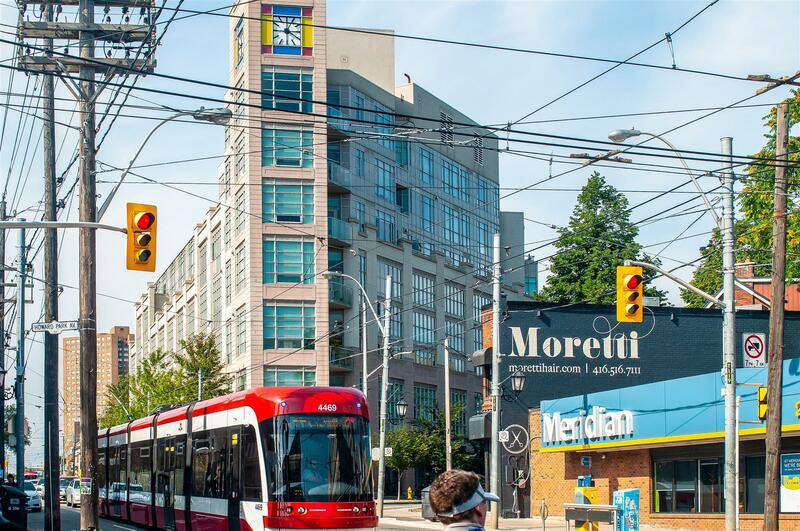 Roncesvalles has become so popular that condos and lofts in the neighbourhood have become highly coveted. Roncesvalles is especially known for its wide assortment of hard loft buildings, which include Robert Watson Lofts, Feather Factory Lofts, The Abbey Lofts, One Columbus Lofts, Sorauren Lofts, 53 High Park Lofts, Chambers Courtyard Lofts, and High Park Garage Lofts. Condos and lofts for sale in Roncesvalles are sought-after. Stay up to date with the latest real estate opportunities in Roncesvalles by getting in touch with Casey Ragan today. 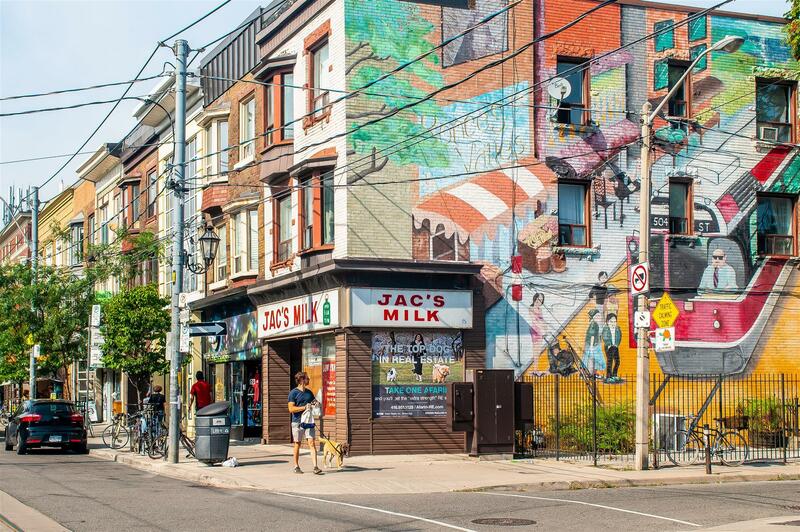 Shopping: Roncesvalles Avenue is peppered with a wide variety of retail establishments, offering everything from quirky stationery and fair trade outerwear to luxury goods and designer clothing. Some of the shops you'll find here include Coal Miner's Daughter, Muttonhead, Ardith, Imelda, The Mercantile, and Ecotique Toronto. Wining & dining: Family-owned restaurants and cafes are scattered throughout Roncesvalles, serving anything from home-style Polish fare to Cuban sandwiches. 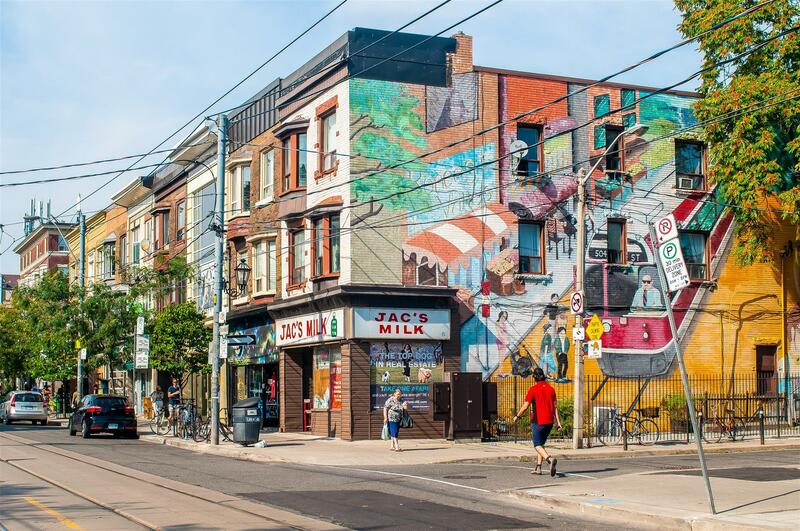 Some of the best restaurants in Roncesvalles include Cafe Polonez, La Cubana, Barque Smokehouse, Chopin, and Tuk Tuk Canteen, all located on Roncesvalles Avenue. Recreation & culture: Green spaces, good Eastern European food, and local events are significant parts of the Roncesvalles lifestyle. A couple of things to note: the iconic High Park is west of the neighbourhood. Revue Cinema, Toronto's oldest standing movie theatre, is also located here and still shows movie screenings. Lastly, Roncesvalles Polish Festival is the largest festival of its kind in North America - do not miss this.